Southern Cross Carpet Mills Australia. 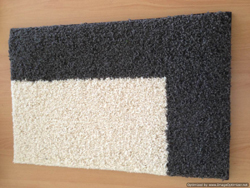 Southern Cross Carpet Mills Australia P/L is the largest and longest running carpet sampling operation in Australia. Since 1979 it has been owned and operated by the same family. Southern Cross Carpet Mills P/L has continued to stay ahead of its competition by purchasing the latest cost efficient equipment from around the globe to meet client demands. 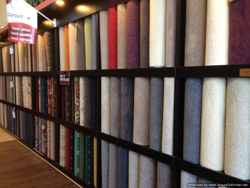 We are proud to be the largest outsource carpet and marketing merchandise manufacturer in Australia. Our experienced team manufacture sampling merchandise of the highest standard to reflect our clients products. We are able to provide a “one-stop sampling shop” that is capable of shipping product into store not only locally, but interstate or overseas. Our workmanship is often on display not only in retail stores as well as international trade exhibitions. Southern Cross Carpet Mills Australia P/L has been commissioned to produce rugs for the likes of The Sultan of Brunei and the Australian Consulate. Individual carpet runners have been specially produced for the arrival of Queen Elizabeth 11 and President Obama and other notable celebrities. As well, other events to be catered for have been the opening night of Moulin Rouge, the Australian Grand Prix, the Spring Racing Carnival, the Australian Tennis Open, the AFL Brownlow Medal function etc to name just a few. 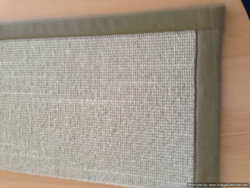 If you are looking for a wholesale supplier of the finest quality rugs in Melbourne then look no further than Southern Cross Carpet Mills. We can provide custom-made rugs to our clients located in various Melbourne suburbs including Dandenong, Frankston and Waverly. As an expert, we are always available to offer guidance regarding selection of rugs based on your specific requirements. 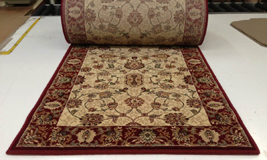 Our rugs are made from the finest grade of materials. Our range of wholesale rugs for our Melbourne clients come with designs that bear clear lines, smooth surfaces and a fine finish. So if you are looking for top quality rugs in Dandenong, Frankston or Waverly make sure to give us a call at Southern Cross Carpet Mills today!